YAY! Finally I’m free and going to share with you guys about my Panasonic Beauty Trip to Japan last month. I’m glad to join this Beauty and Health Study trip that lasted for 8 DAYS 6 NIGHTS in Tokyo, Hikone and Osaka! Japan is one of the countries I love the most, and it has been 7 years since my last visit. Can’t describe my feeling once I receive this trip’s invitation from Panasonic Beauty! 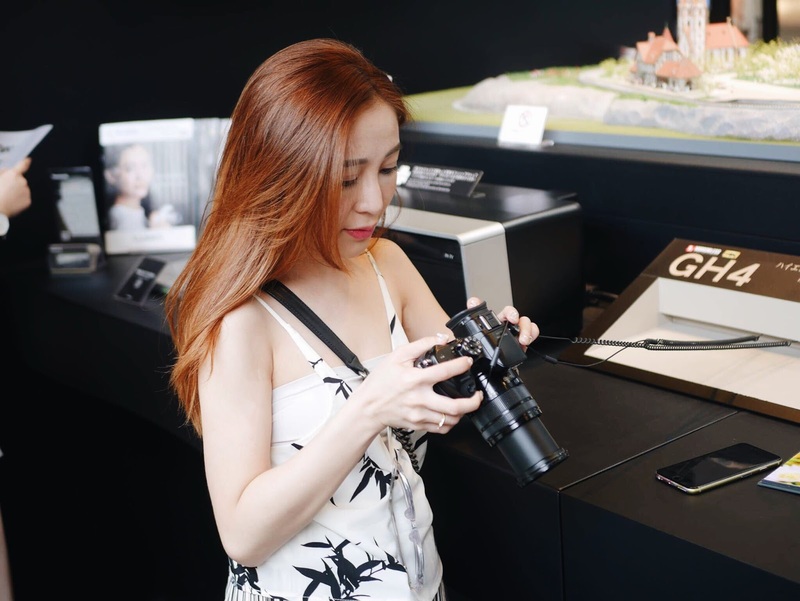 We visited a total 3 Panasonic Center and corporate showroom in Japan for a hands-on experience and insider look in their latest and most advanced products. Panasonic Center Tokyo is a corporate Global Communications Hub for Panasonic. With a vision to realize ‘A Better Life, A Better World’ for each individual customers, the center serves as a vehicle for communications, receiving opinions and requests directly from customers while presenting actual products and solutions. 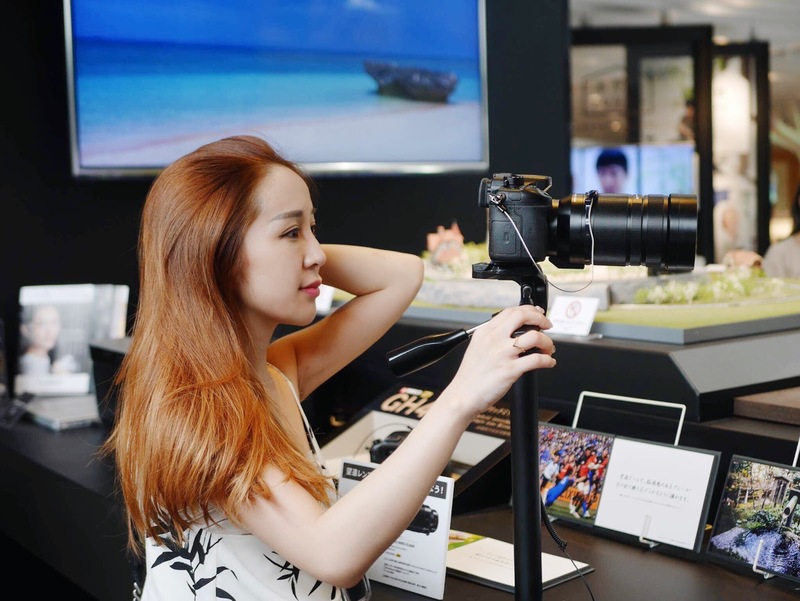 Panasonic Center Tokyo open a showcase that presents future lifestyles for 2020, the company’s global communications hub for linking Panasonic and its customers. They called it “Wonder Life-Box”, the Wonder Life-Box present a concrete vision of future lifestyles from a daily life perspective!! It is based on information from consumer electronics and household equipment, and making use of optimum services from town and society suited to each individual and their families, you can create your lifestyle more comfortable in your own way. Wonder Life-BOX showed that three boxes we can encounter a new lifestyle. There are full of surprise inside the “Wonder Life-Box”! It gives us another glimpse at home consumer tech in the not-so-distant future. CLUXTA, which is a beauty salon of sorts that admits women only. The parlor is equipped with a variety of beauty and health care products that are manufactured and distributed by Panasonic, and also boasts a wide range of make-up and skin care items from the Shiseido. "It's a very exclusive place for the women; men cannot enter," Cluxta is the perfect antidote to the rainy season’s soggy hair and runny makeup. Panasonic products displayed there are not sold directly at the salon, but serves as a referral to increase women's knowledge on some of the beauty items manufactured by Panasonic. So happy to experience some of Panasonic equipment there and I like Nano-lonic care EH-SA93 the most. It’s a steamer that enables you to have facial beauty sessions from the comfort of your home, IT FEELS AS GOOD AS HEAVEN!! Woke up early, and went for a beauty product study ay Panasonic at Hikone. We learned about the information of some of Panasonic latest beauty product and as well as the history of Panasonic. There were so many authentic Panasonic equipment display at Panasonic Hikone Factory. We were also able to try out any Panasonic equipment there. HAD SO MUCH FUN WITH THEM! Let’s get started on our 8 days accommodations in Japan! We stayed overnight in Shinjuku Granbell Hotel for the first 2 nights at Tokyo. Shinjuku Granbell Hotel, located in Shinjuku, is a stylish addition to Tokyo’s accommodation option. Conveniently located, this 4-star hotel offers easy access to the city’s must-see destinations. We truly enjoy the unparalleled services and a prestigious address at the Shinjuku Granbell Hotel. Then, we transferred to Nagahama Royal Hotel at Hikone on DAY4 of our Japan trip. It’s a relaxing hot spring hotel. Upon arrival and check-in the hotel, we enjoyed the hot spring facility at our leisure. 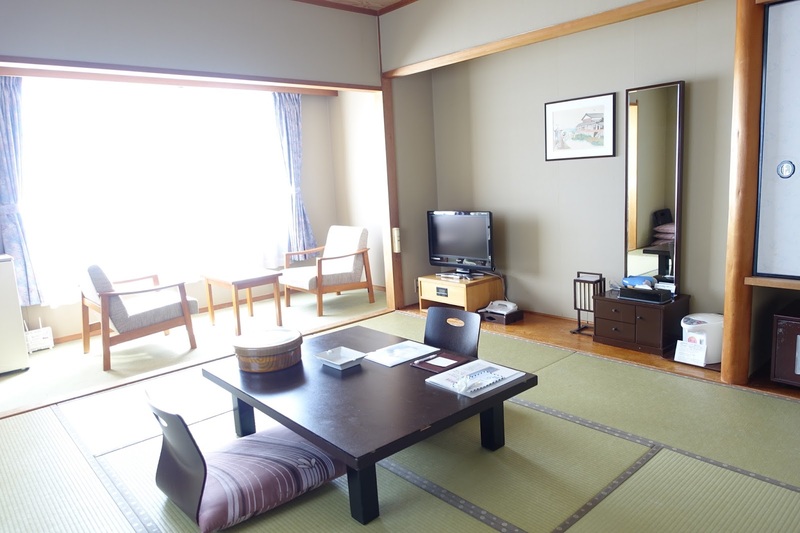 This is about a 3-star hotel, located on the shores of Lake Biwa. It's quite a large hotel and the rooms are average in size, though the en-suite bathroom itself is small. Room was clean and basic. A great way to experience centuries of Japanese culture and tradition is to wear a kimono in Hikone, Japan. Last station, Osaka. Stayed for 3 nights at Shereton Miyako Hotel Osaka. Sheraton Miyako Hotel Osaka is located in the Tennoji area of Osaka. The hotel is not too far from the city center. The contemporary rooms at the Sheraton Osaka include a minibar and en suite bathroom. Fresh Japanese-style bathrobes and sleepwear are provided. Sheraton Miyako Hotel Osaka is an ideal place of stay for travelers seeking charm, comfort and convenience in Osaka. Definitely, I will come back for this hotel for my next visit to Osaka!! Japan is such a beautiful country, fascinating language, unique culture, and absolutely amazing natural beauty. Japan has four distinctive seasons. Spring and autumn are generally mild throughout the country, and spectacular views of pretty sakura cherry blossoms and colourful autumnal leaves. Rain falls all over Japan throughout the year but June and July is the main rainy season. SO, umbrellas are a daily essential during this season. Before you’re traveling to Japan, remember check out some tips for travelers to Japan!! JB is exploding with cafes on every street corner, make sure you don't miss out! Cafe hopping with my girls. That’s all for my write-up for 8 days Panasonic Beauty Trip. Thank you once again to Panasonic Beauty for this beautiful experience!